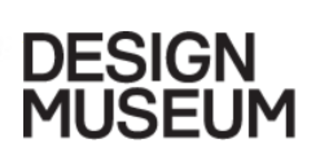 The Design Museum is one of the world’s leading museums devoted to contemporary design in every form from furniture to graphics, and architecture to industrial design. It is working to place design at the centre of contemporary culture. It demonstrates both the richness of the creativity to be found in all forms of design, and its importance. Design is a hugely fertile field of inventive new work, as well as a key component underpinning the modern economy. It provides a means for understanding the contemporary world, and, potentially, for making it a better place. The Design Museum’s mission is to celebrate, entertain, and inform. Twenty-five years ago, Terence Conran established the forerunner of the Design Museum, the Boilerhouse, in the basement of the Victoria and Albert Museum (V&A) in London. As planned, the Boilerhouse quickly outgrew the V&A and in 1989 it moved on to become the Design Museum, in an architecturally striking transformation of a Thameside warehouse near Tower Bridge. Since then it has emerged as an institution with international status and significance, playing a vital role in making design and architecture a part of the cultural agenda. The Design Museum has created a substantial new audience for the subject, with a programme of popular exhibitions on design disciplines ranging from car design to fashion, and architecture to graphics. It attracts more than 200,000 people a year through its doors, has a vibrant schools programme, a strong critical reputation and a commitment to academic excellence, demonstrated by its master’s degree in curating design run in conjunction with Kingston University. The museum remains an independent registered charity, run as a charity governed by a board of trustees. It is supported by a vigorous range of income generating activities from ticket sales, its café, its shop and its events programme and by development income. Since 2005 it has also received an annual grant from the Department of Culture, Media and Sport.